I've started photographing some of the stuff from the flat clearance and the plan is to eBay it, with profits possibly going towards a family holiday for several generations of us. I hope this works out (it sounds a lovely plan!). We have no real idea if it will actually work that way, but there's loads of stuff, much of it vintage and collectable. Mum and Dad ran a pub in the sixties and seventies and collected quite an assortment! 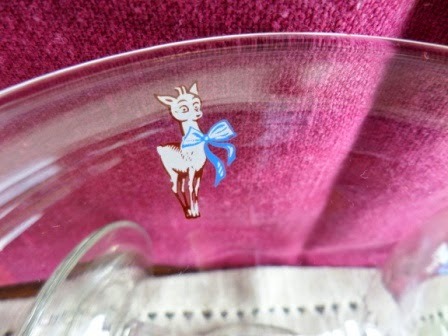 I thought the white deer figures on these babycham glasses were faded until I discovered these are the rarer older Babycham glasses which were designed with a white deer! Clearing out someone else's home is really hard work and I can fully understand why some people get a house clearance company in! But when it's your parents' home, it's hard work interleaved with many memories, and it can be fun too - there's definitely a bit of sisterly bonding to go along with the roughly equal measures of dust, grease and memories! My artwork for licensing has now started to be listed on the art agency website, which is an exciting step forward. Every time their home page refreshes, a new assortment of artwork comes up on the right hand side, some of which is mine (there may be one, two or none of mine - it seems like a random selection each time). 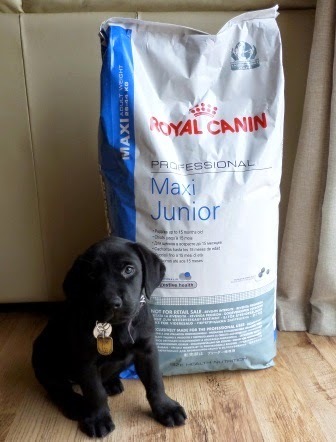 In Quentin news, you may (or may not) remember this photo of him aged 8 weeks, looking completely adorable next to his bag of food! There are now three photos, each one showing him growing bigger. 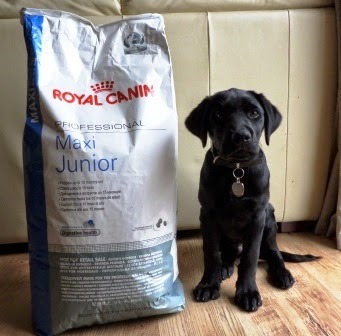 The last photo was taken this week - you can see how much taller he's got by the background (it's the back of a sofa in the background) as well as the food bag! 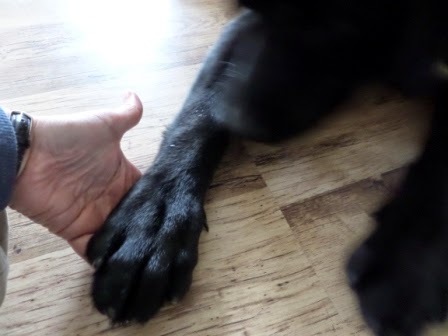 and it's clear he's going to be quite a big dog (he's already bigger than some adult labradors) and we think possibly his extra-big paws might be what's causing him to trip quite frequently when he's walking. We're planning to go to Guide Dog puppy class tomorrow (Monday) when someone will have a look at him. I do hope he grows out of this tripping up problem, because he won't be able to be a guide dog if he trips up when he's walking. Most of the time, the trip is just a slight stumble (bad enough in a guide dog) but very occasionally he does actually fall over (definitely not a good thing in a guide dog). It never bothers him though, just in case you were wondering! He loves his walks. Anyway, I think I've prattled on for long enough! It's over to you for Handmade Monday! Quentin is growing up so fast. I can't believe how big his paw is! He's a beautiful dog. Your designs are lovely. 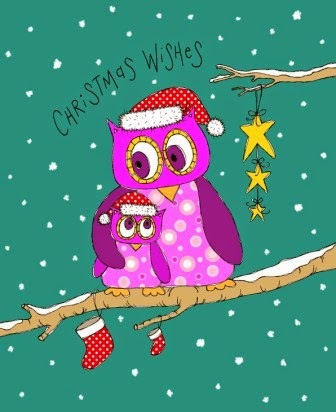 Loving your art work as ever - the birds and the owls are sooo cute. Great to see Quentin's progress and I hope you can get to the bottom of the tripping up problem. If he is anything like my lab when he was a puppy, it might just be over enthusiasm to get where he wants to go! Aww, I love to hear about Quentin! I hope he gets over his tripping problem too. Glad you discovered some gems while clearing out the flat, it's things like that which make all the time worth while. 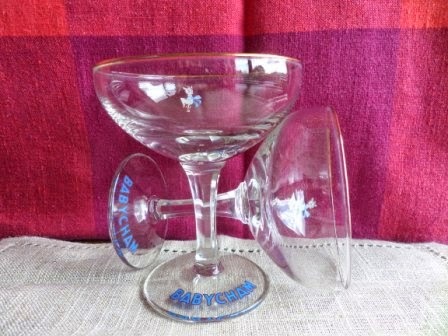 Oh those Babycham glasses brought back some childhood memories. I hope everything finds a new home where they can be cherished once again. 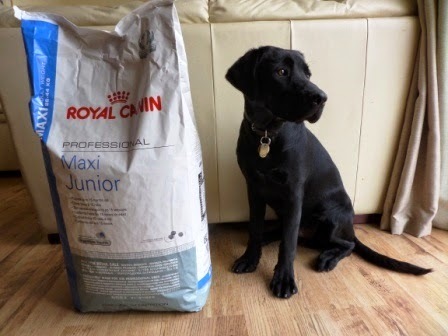 Quentin has grown loads but those paws are really big, looks like he's got more growing to do. Your designs are lovely. I really like the little birdie told me, it's so versatile. 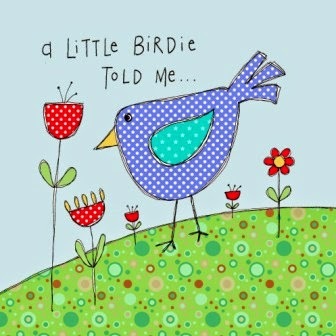 Aww i love your birdie pics :) fantastic news that the agency are already publicising your artwork! I think you'll do well on Ebay with your parents treasures, it sounds like they have quite a collection... i can imagine it must be quite a journey going through it all. Mind WHAT you end up selling, as the GrandKids might actually be wanting some of IT later on! -- Trust me! There are so many things that my Grand and GreatGrandParents had that I would LOVE to have now! yes..He is BIG, isn't he? There must be a gene or 2 of Dane or Mastif in Him perhaps..? oh, and watch for hip problems since He's growing so quickly and huge! He really is growing into a big dog. I do hope he stops tripping soon because I'm sure he'd make a great guide dog. Your art work is looking lovely as ever. Oh my, I remember those babysham glasses, I am sure my nan had some. Quentin is just so gorgeous, I just want to reach through the screen and pat him. 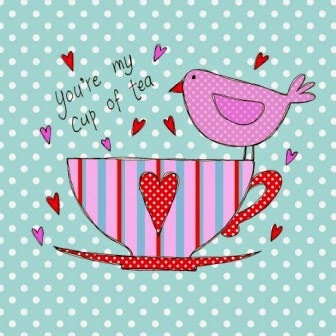 Your art work is lovely, I love the Cup of tea one best, but then I do love all things tea related. I ebayed a load of stuff in one go once and then got very muddled when it all sold at the same time, it was quite a puzzle making sure I sent the right things to the right people. If you can I would list no more than 5 things per day , or at least have then finishing at different times. Or maybe you are more organised than me at it will be fine. Good luck. Awww bless little Quentin! :) Hope he grows well and overcomes his tripping problem. With his size he would make such a great guide dog. I'm amazed at your workload at the moment, hope you don't reach burnout. Make sure you have some rest time.